Kay so I was reading through my posts of the year. All 13 of them. Which in itself is quite pitiful, but that lack of effort that I put into each post is astonishing. Wow I am just downright embarrassed. And I'm so embarrassed by this fact, that I'm not ashamed in posting about something that happened two weeks ago. Come at me if you want. 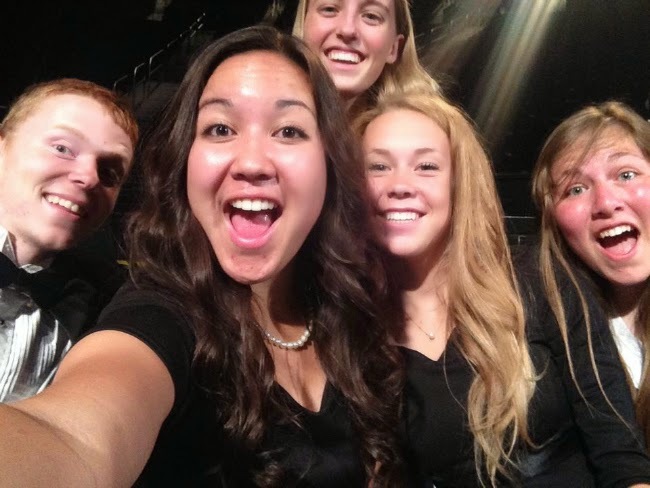 The wind symphony gets to perform at graduation each year. We have seats on the floor with all the graduates, so everyone can see everything that you do. That didn't stop us from playing 2048 the whole time we were in there. 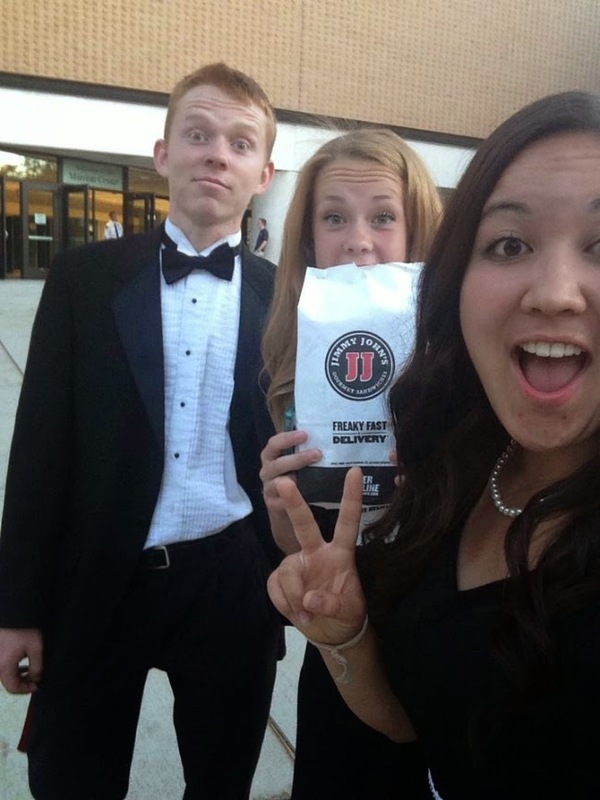 None of us trumpet players ate dinner before we got there, which was super dumb. But nonetheless, we were starved. 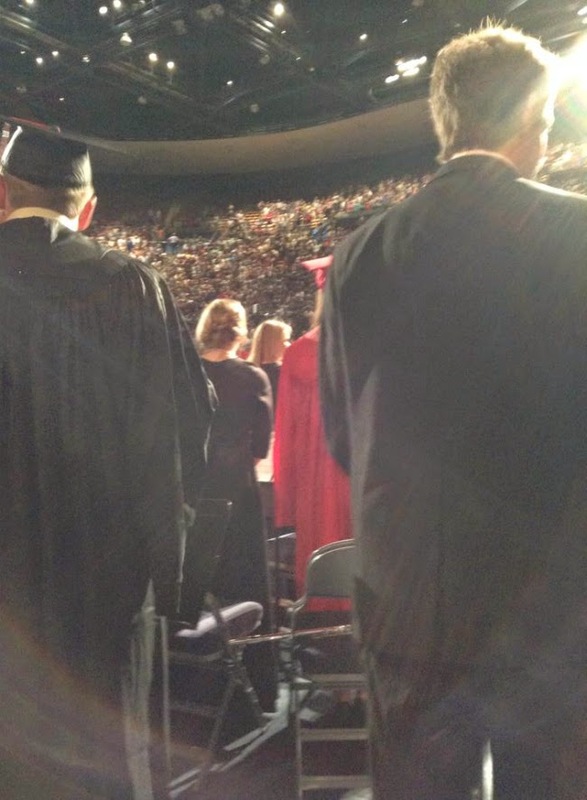 So, when all the graduates started filing in and we were standing up, we called Jimmy John's up and tried to see if they could deliver some sandwiches to us. They had no idea where the BYU Marriot Center was, which is like, do you even live in Provo? They told us we had to order online and get the address to the Marriot Center in order to get our food. The next 30 minutes were spent trying to order everyone's sandwiches and getting each of the orders right, and finally paying for the order. We played our song, Exhiliration, in which I had a solo (yikes) and they zoomed up on me on the jumbotron! Ah. Anyway, we finished playing our piece and the next thing we played was the school song at the very end of the graduation. 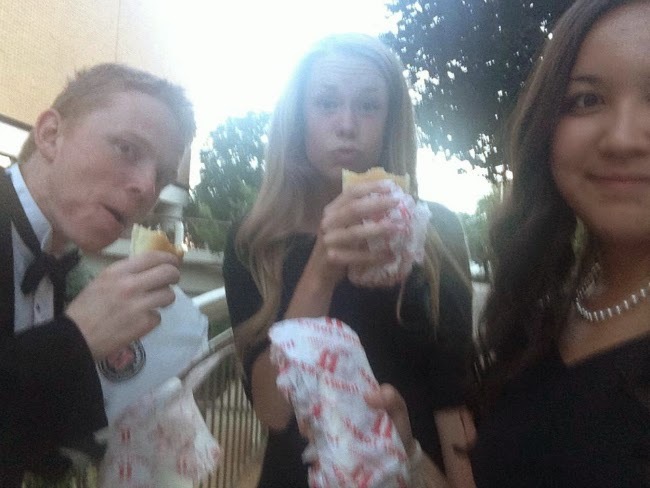 So, three of us slipped out and retrieved the Jimmy Johns for the rest of the crew! We finished our food and managed to sneak back in just in time to hear the last couple letters of the alphabet walk. And then we played the school song like we hadn't left at all. Oh, how I love high school. Uhm random stuff that's going on. yeah.